Science is full of controversies. Scientists are always debating over a variety of different topics. However, the characteristics of extinct animals is something that is fervently debated over. One of the main reasons that extinct animals are topics of debate is because no one can explicitly answer these questions and back it up with evidence because the animals are extinct. Although life size models can be created, these animals cannot be observed and studied live and therefore there cannot be any concrete evidence. This leads to many controversies, especially among dinosaurs. The flying capacities of the Quetzalcoatlus, a large bird-like dinosaur, have been a recent topic of debate. Why has this been a topic of debate you ask? Well, for one, the proposed size of the bird, 70 kg (around 155 lbs) with a 10.4m wingspan , is very close to the supposed upper mass limit for a flying animal. If this is true, that means that this big dinosaur was not able to fly. Some scientists believe that the bird was actually bigger and had more muscle to enable flying. These scientists thought that the Quetzalcoatlus utilized a quadrupedal launch in which it leapt from four limbs in order to take off into the sky. However, this was not possible based on its size. 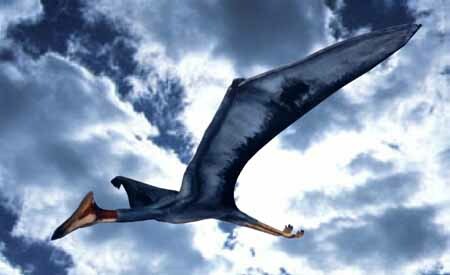 I wouldn’t want to think of how much the Quetzacoatlus would have had to eat in order to have enough energy for any amount of sustained flight. Is anything known about its potential diet? It makes sense that it was limited to gliding, but I’m sure that that was still an impressive sight! Nice post! Be careful with quotes, though: your quote from Mark Witton was originally sarcasm; if you put into context with the rest of his blog post, you’ll see that he suggests exactly the *opposite* of what is in the quote. He’s saying that Chatterjee et al. consider the quad launch to be “hokum”, not that he (Mark) thinks it is. gjperry: the most plausible diet for Quetzalcoatlus, with current knowledge, would be small terrestrial vertebrates. This could include young dinosaurs, crocodilians, and mammals. 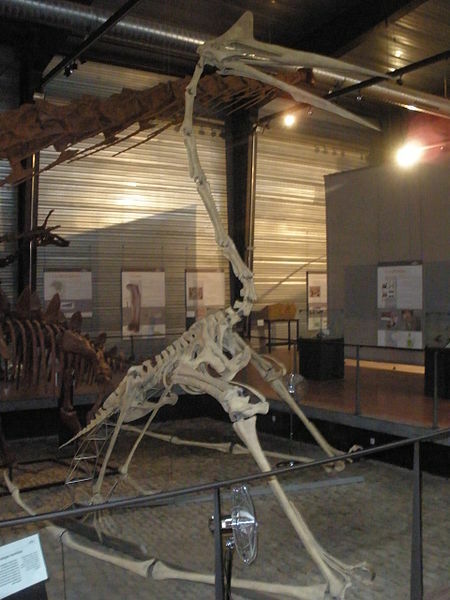 Quetzalcoatlus lived within inland environments, so aquatic prey would be unlikely. Capturing prey while in flight is also unlikely. Cheers! Professor Habib: thanks for the response! Professor Habib: Oops! Thanks for letting me know. I have edited that part. Thanks!